Abstract: For materials in impact applications, the failure processes can be a critical aspect in their impact resistance. Thus, it is desired to track the damage initiation and evolution in real time during the dynamic deformation of the specimens, which has not been possible except for a few transparent materials under high-speed imaging. Recently, we integrated the high-speed X-ray imaging capabilities present at the Advanced Photon Source beamline 32ID-B (Argonne National Laboratory) with the high-rate loading offered by the Kolsky compression/tension bar and light gas gun. High-speed X-ray images and X-ray diffraction can be obtained simultaneously. The effectiveness of these new experimental capabilities is verified via impact on various material systems, demonstrating in-situ image analysis inside of the material systems during loading rates commonly encountered in high-rate deformation environments, such as high-speed machining, vehicle collision, and blast/impact. 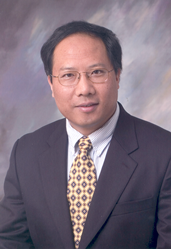 Bio: Professor Wayne Chen received his Ph.D. in Aeronautics at California Institute of Technology in 1995. He is currently Reilly Professor of Aeronautics, Astronautics and Materials Engineering, and Professor of Mechanical Engineering (by courtesy) at Purdue University. His research interests are in dynamic experimental technique development and dynamic material characterization. The research results from his group have been published in a book and over 180 journal articles. He is a Fellow of American Society of Mechanical Engineers, a Fellow of Society for Experimental Mechanics, and an Associate Fellow of American Institute of Aeronautics and Astronautics. His recent awards include Honorary Doctor of Science in Technology from Tampere University of Technology in Finland (2017) and Elmer F. Bruhn Award for Excellence in Teaching at Purdue University (2018).